Helping people achieve their dreams and aspirations. Plan sponsors and their financial representatives rely on our guidance, scalable solutions, and transparent platform to help create a retirement-ready workforce, understand their fidiciary duties and achieve participant outcomes. And as part of Manulife and John Hancock Financial Services, partnering with us provides a powerful set of advantages. Your plan's participants each have a unique journey to financial wellness, one that includes stressors outside of contributing to a 401k plan. Our approach extends beyond retirement savings - we put participants first by providing education, guidance, and advice that is personally relevant to their individual journey. A dedicated service team, managed account options, and carefully curated online tools help to keep your retirement plans and participants on track. A seamless selection of products and services built on decades of leadership in the small, mid, and large plan markets. Plus, in-depth consultation and analytics ensure a great fit today and as you grow. A full separation of plan fees and investment charges, no bias toward proprietary funds, and options for keeping plan fees level and fair so participants do not pay more than their share of plan expenses. From startups to major corporations, we provide innovative solutions for retirement plans of all sizes. If growth is in your future, we can help to ensure your retirement program is prepared for the journey. Contact your financial representative to learn more about John Hancock's retirement services. 1 - 2018 PLANSPONSOR Magazine Recordkeeper Survey Results, as of Year-end Dec. 2017. 2 - As of December 31, 2018, John Hancock Life Insurance Company (USA) supported 45,468 plans, 1,574,666 participants, and $ 78,504,987,000 in AUMA. 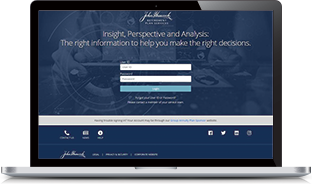 John Hancock Life Insurance Company of New York supported 2,503 plans, 75,000 participants, and $ 4,631,335,000 in AUMA. John Hancock Retirement Plan Services, LLC supported 11,020 plans, 1,201,665 participants, and $ 68,432,557,000 in AUMA. Participant Counts reflect all active participants with a balance. Approximate unaudited figures for John Hancock Retirement Plan Services division, provided on a U.S. statutory basis.